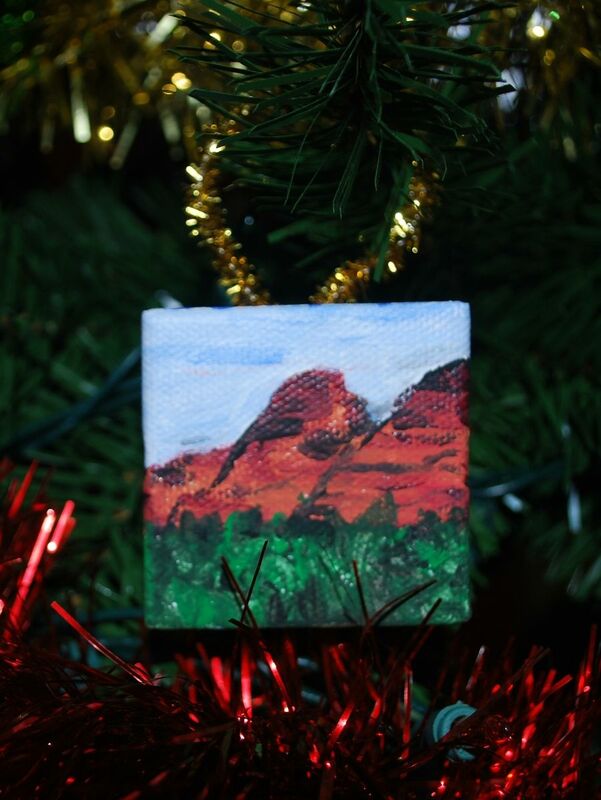 Christmas Tree Ornament: "Sedona Christmas Tree Ornament"
This started as a bit of whimsy, in all honesty. 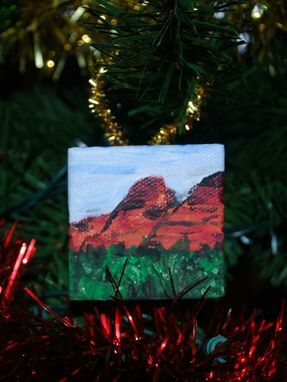 I was in Blick's Art supplies one day, and they had a christmas ornament making thing, with tiny canvases. So I decided to make one. Not knowing what to make, I agonized for a few minute, until in what seemed like just a few brush strokes, the spectacular red-rock landscape of Sedona emerged onto the canvas, from memory. This set of rocks is closer to Schnebly Hill, away from the places where the tourists usually travel. It's also very small, about 2"x2". It was also pretty fun to make, actually. I'd love to do more of these.